Hey everyone! 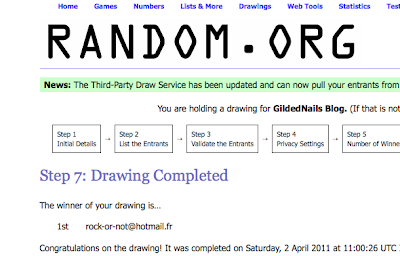 I finally have the winner of the OPI Giveaway! 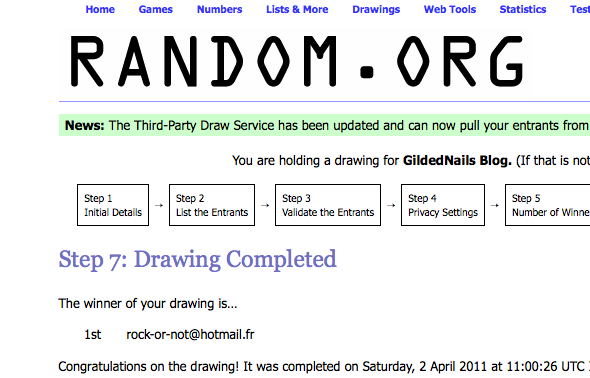 Thank you so much to everyone who entered! This giveaway actually generated a milestone for my blog, producing the highest number of views in a single day on the 7th March, with nearly 1500 unique hits on my blog! I will send you an email now! Please make sure you write back asap with your address details. I will also be announcing the winner of my 500 Follower Giveaway this coming week! Congrats to you on the traffic and the winner! congrats that teal color is beautiful!